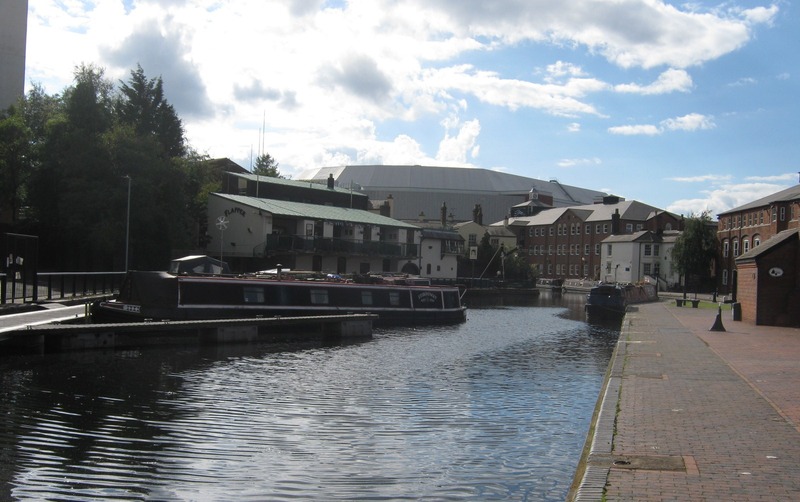 Cambrian Residential Moorings are located in the heart of Birmingham, close to the National Indoor Arena. 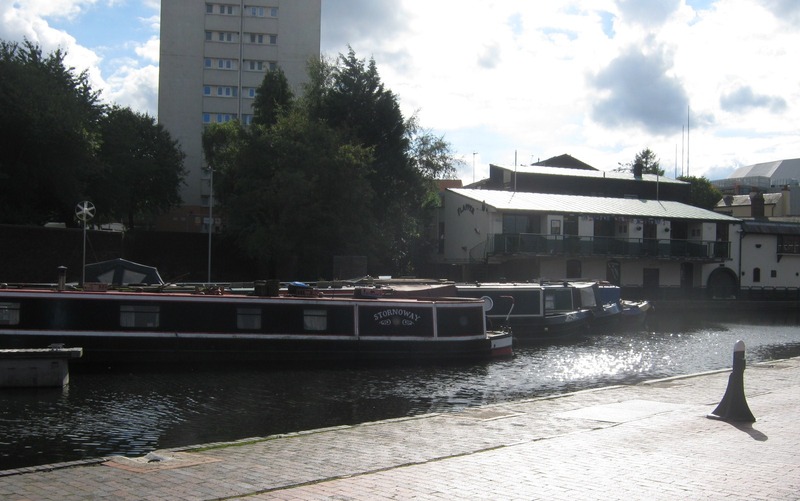 From here you can easily access the 100 miles of the Birmingham Canal Navigations or simply enjoy living life afloat in England's second largest City. The site provides space for 4 vessels all with full residential planning consent. To reach the site from the parking in Edward Street, walk towards the NIA building for approximately 50 metres then turn left into King Edwards Road. 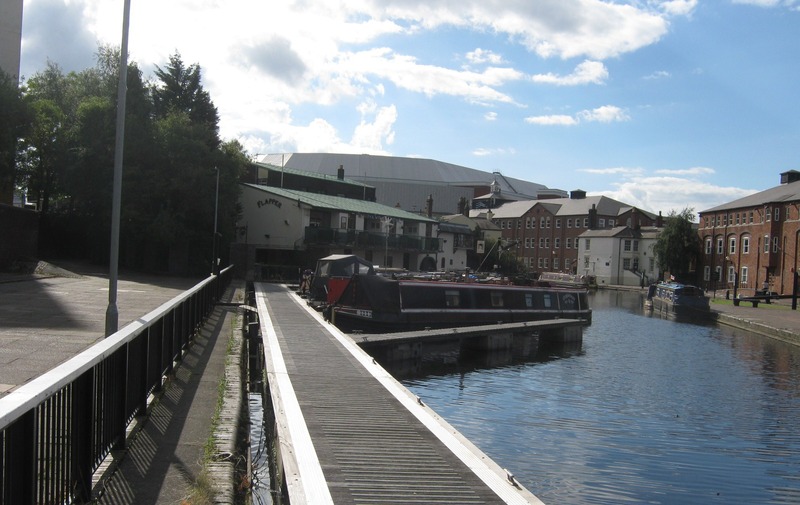 Walk to the canal bridge and access the towpath without crossing the road. Continue towards the Post Office Tower with the CRT Cambrian House office on the left. 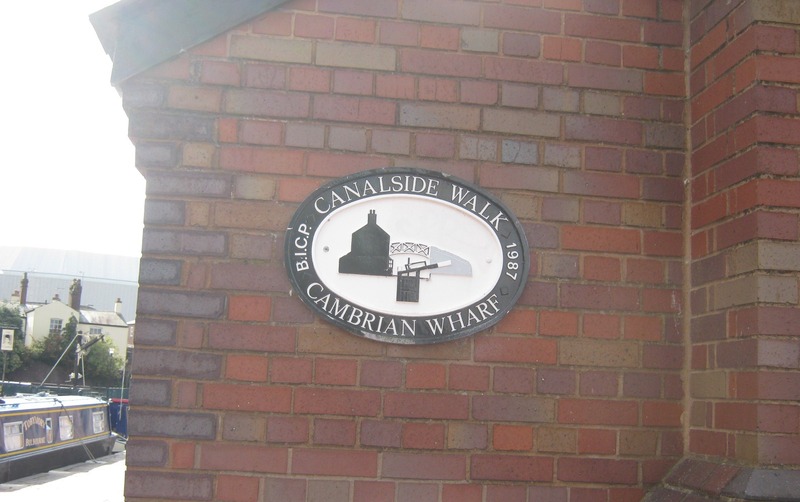 The moorings are directly opposite Cambrian House and can be accessed by crossing the pedestrian bridge next to the old round toll office. The facilities can be found in the small building extension to Cambrian House, directly opposite the moorings. Car parking is not available but numerous on street pay and display car park spaces are near the site. A CRT key is required to access the site through the pedestrian gate. 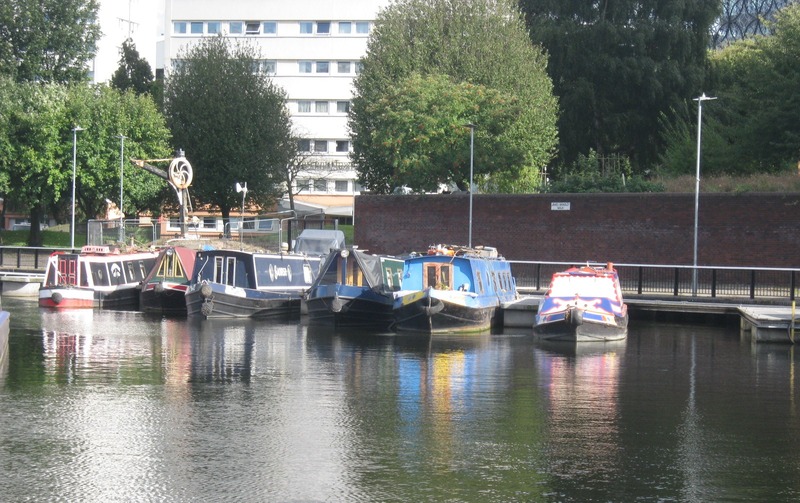 Moorings are against floating pontoons with mooring cleats. 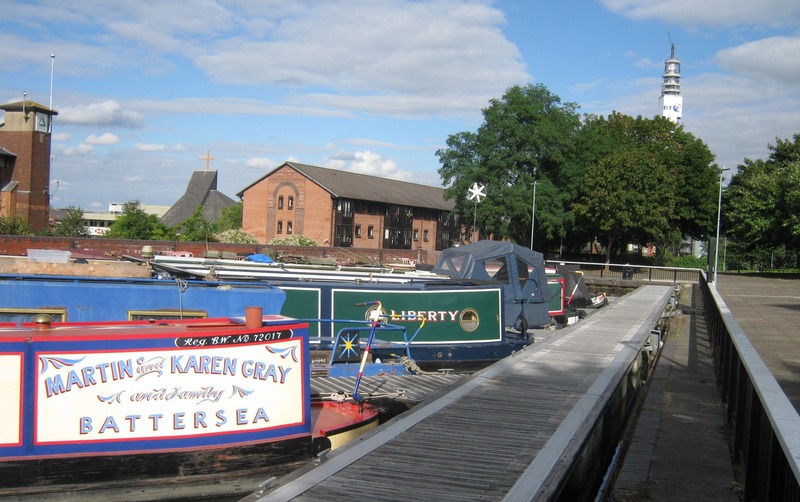 There are additional pontoons next to the residential area which are for visitor moorings. Council tax is payable and collected by Birmingham City Council.